Subject Expert Teachers Mr. Bosley (Music) and Ms. Burley (Performing Arts) began by selecting a musical program that our students would be interested in. 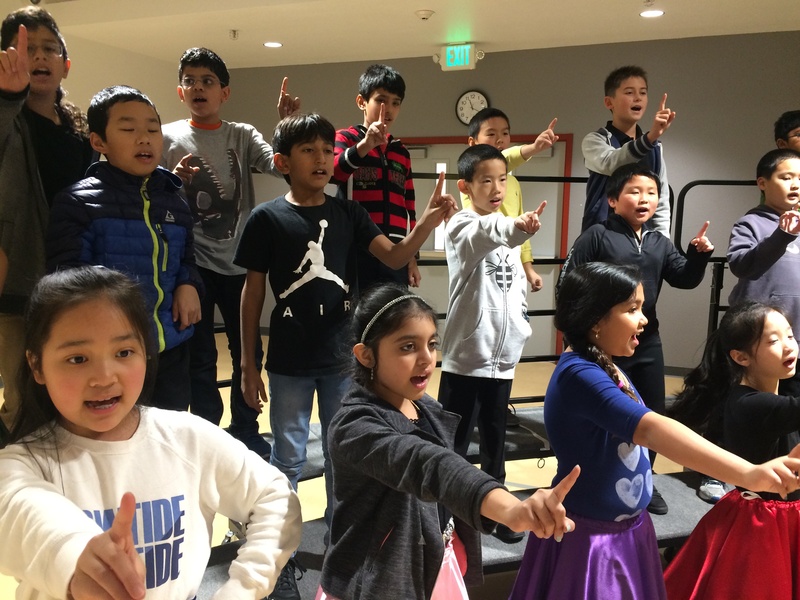 For the Transitional Kindergarten through grade 2 performance, they chose Disney music, which the students would be familiar with, and selected Broadway tunes for the grades 3-6 performance to introduce those students to music they might not know (but might grow to love). Mr. Bosley and Ms. Burley chose programs with songs and speaking roles that they thought would be energizing for our students. Once the programs were selected, practice began! 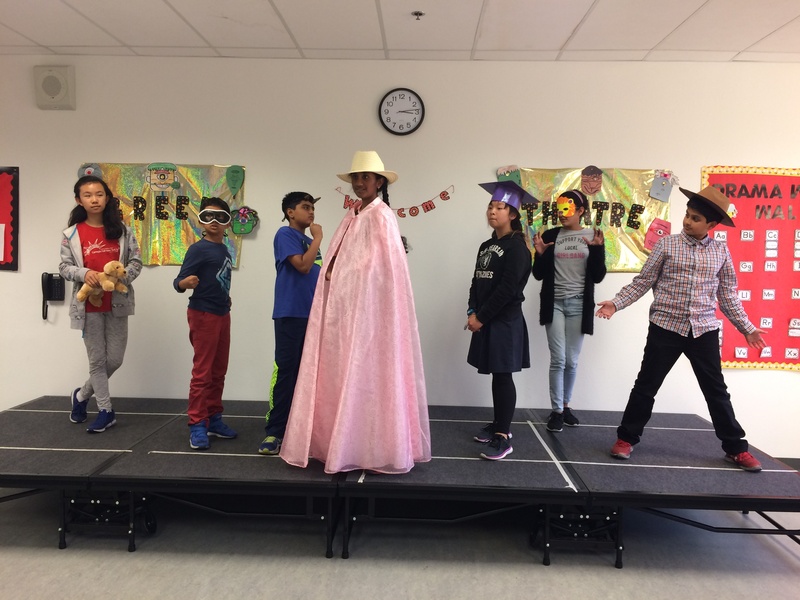 Starting in October, Mr. Bosley's music classes focused on learning Winter Gala music, and in Ms. Burley's drama classes, students began blocking out stage positions and rehearsing lines. Each student had at least one spoken line in the show to provide context to each of the songs performed. For the most part, they created their own choreography for their spoken lines! 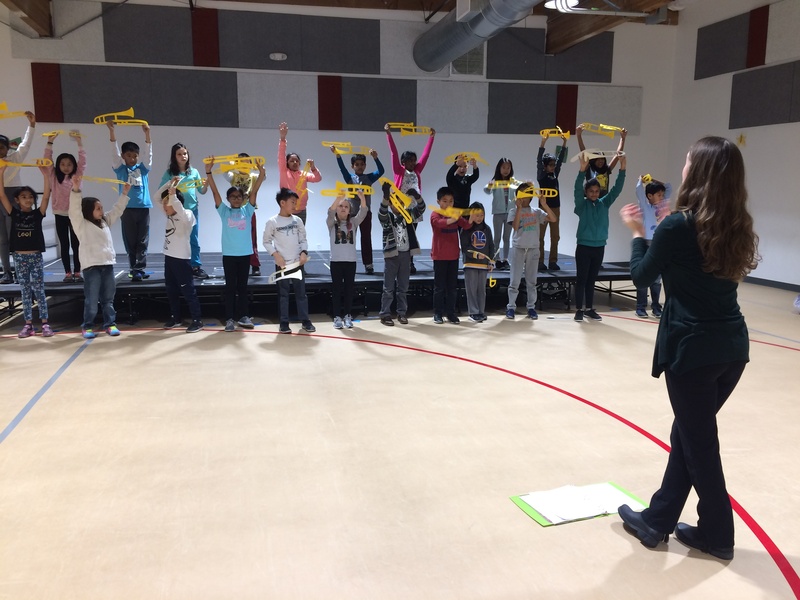 "The rehearsal process has the students learning through reading and speaking, but the choreography adds a kinesthetic element," said Ms. Burley. "Matching a physical movement to a spoken line helps with memorizing that line." "Reviewing the show content over and over again taught musical and theatrical discipline," Mr. Bosley added. 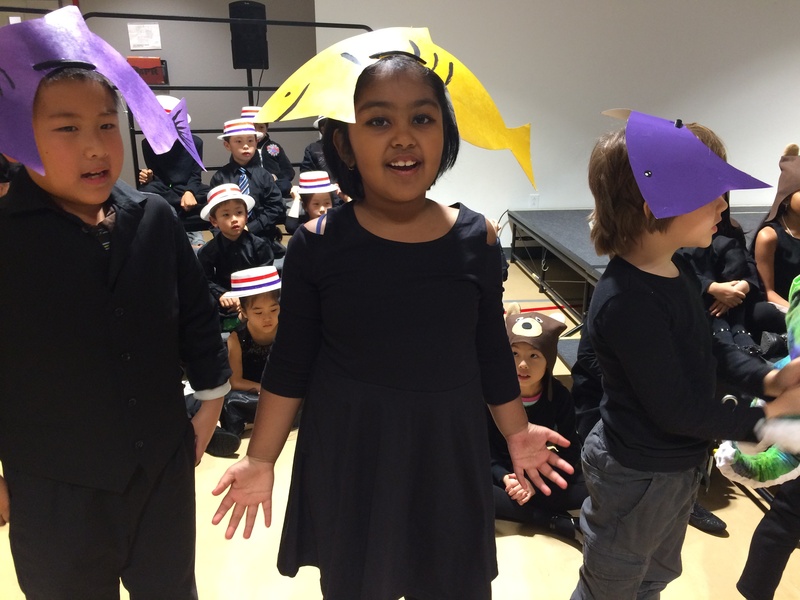 "Once the technical part was learned, the acting was added, moving the students from simply reciting to performing. We used the "I do it, we do it, you do it" strategy to get the students to learn the show but make it their own." In envisioning the Winter Gala, Ms. Burley and Mr. Bosley saw each student with a prop or costume. They called upon Ms. Coackley and Mr. Harter to make this vision a reality. 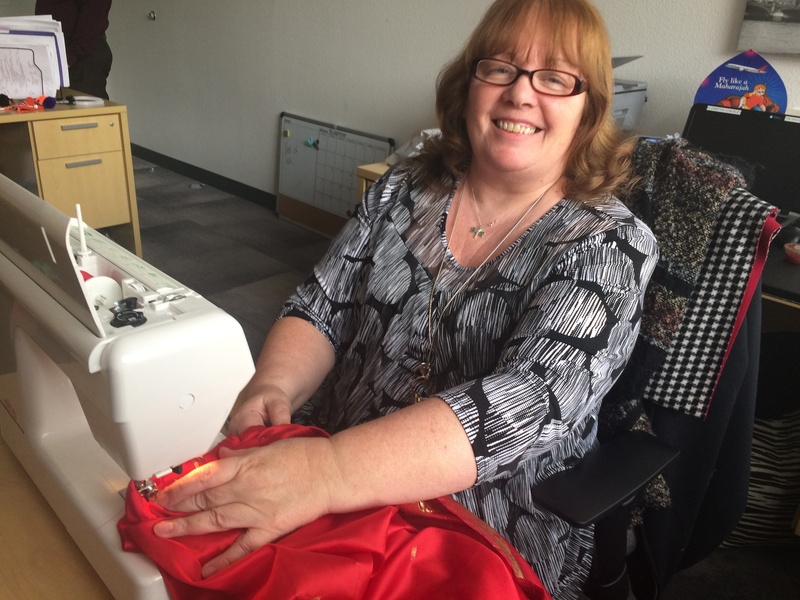 Ms. Coackley, our Coordinator of Academic Programs, is also an accomplished seamstress! She very graciously volunteered her talents for creating costumes for our students to wear during the Gala. Every day, between her normal duties, her office was filled with the sounds of a whirring sewing machine, churning out one hundred white gloves, beautiful poodle skirts with contrasting crinolines, and tiny-eared bear hats. 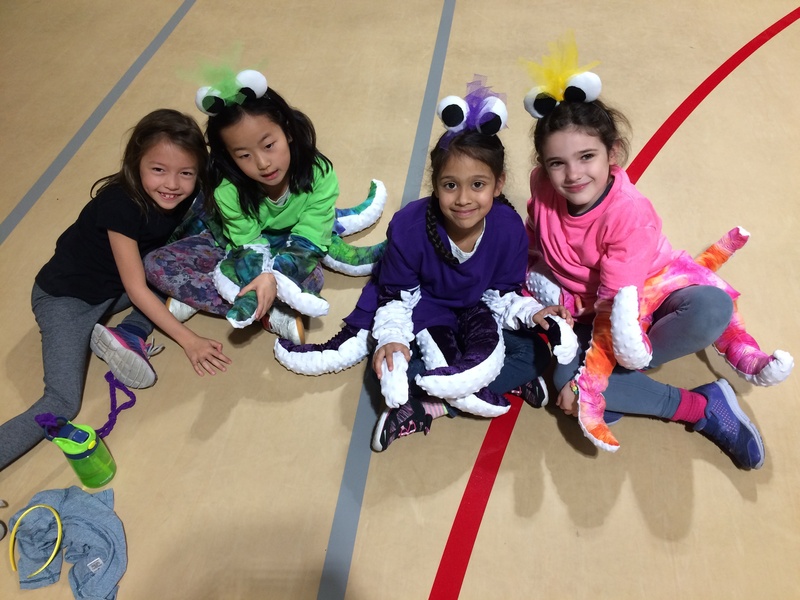 On nights and weekends, she created more complex designs, including a crab suit and multiple octopus outfits for the "Under the Sea" musical number! 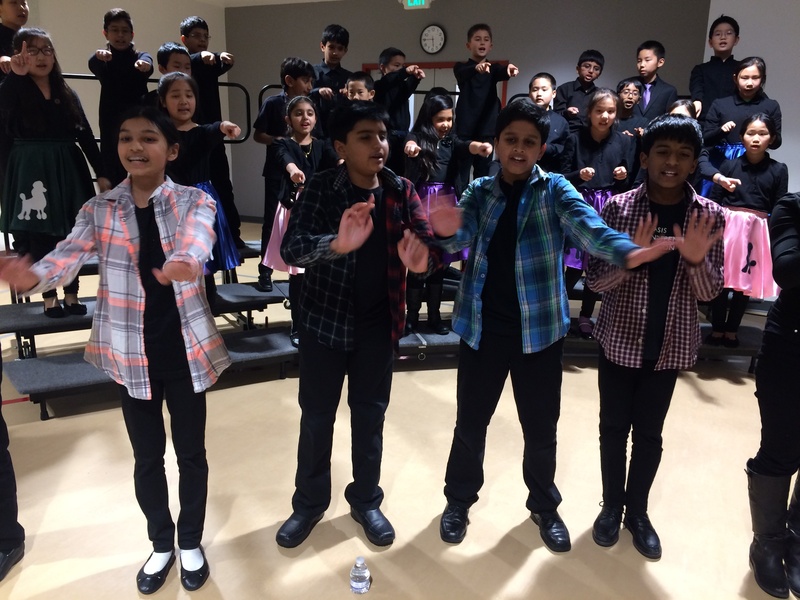 Right up until an hour before the final performance, Ms. Coackley was whipping up a stack of Thai-style pants for the fourth grade boys to wear while singing "Whistle a Happy Tune" from The King and I. "I loved the bear hats for "Bare Necessities,'" Ms. Burley said, when asked if she had a favorite costume from the show. 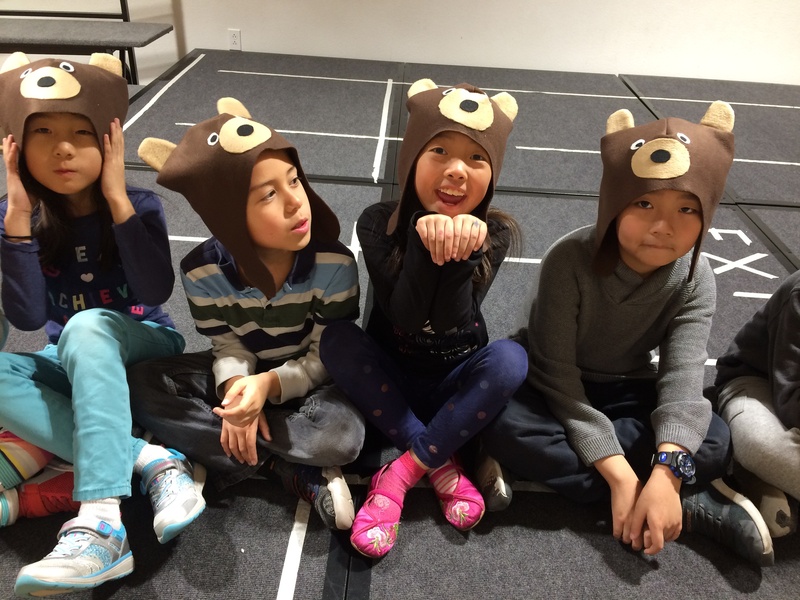 "Each bear hat had a different expression on its face," Ms. Coackley revealed. "Every costume was unique in its own right." "The crab and the octopi for "Under the Sea" were amazing," Mr. Bosley added. "I loved them." "I loved making the octopi!" said Ms. Coackley. "There were tentacles all around my sewing machine! I could only fit six around the waists, so the seventh and eighth tentacles became arms by necessity. I was problem solving the whole way through." Mr. Harter, our Subject Expert Teacher of Visual Arts, provided his time and talents to help organize the creation of dozens of props for multiple numbers. From shining trumpets for "76 Trombones" from The Music Man to fish headbands to add to the "Under the Sea" number from The Little Mermaid, Mr. Harter made sure the production had what it needed. All props and costumes were made by the students at BASIS Independent Fremont, under Mr. Harter's supervision. "Our focus for this Gala was community," he said. 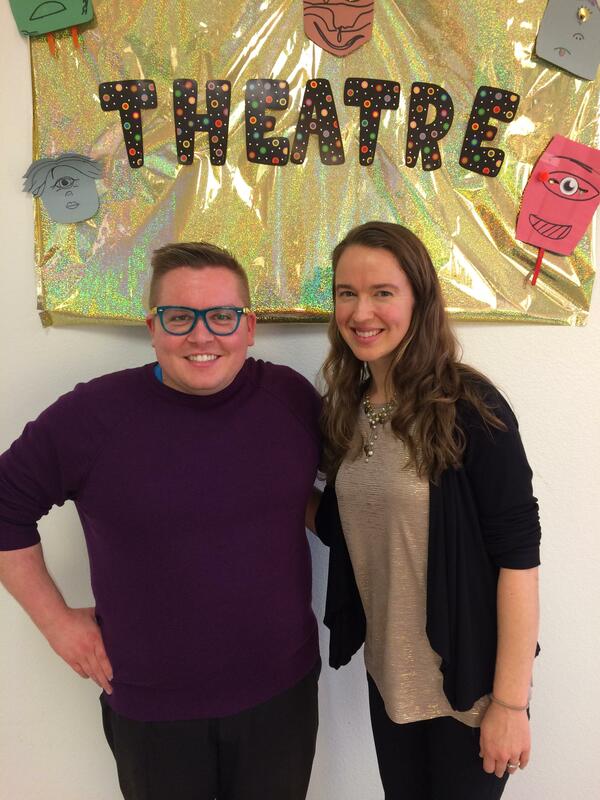 "I'm proud of our students working together to help bring the production to life! Overall, I was really happy with it. 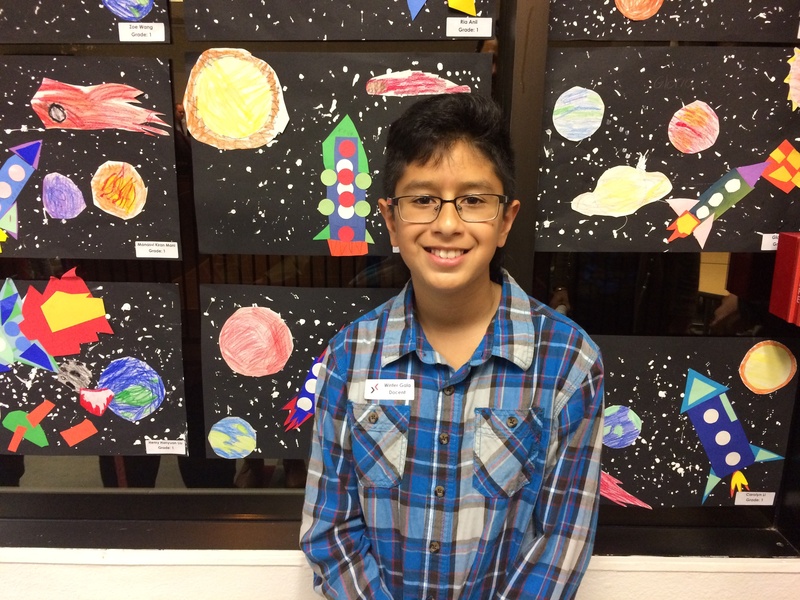 The sixth grade art class made that Gala happen," he added. In addition to creating the props, that class hung all the art in the cafeteria, designed and created the activity tables, and were docents. Mr. Harter and Mr. Huneycutt co-organized the art and engineering presentations in the school cafeteria for the intermission and post-show crowd! 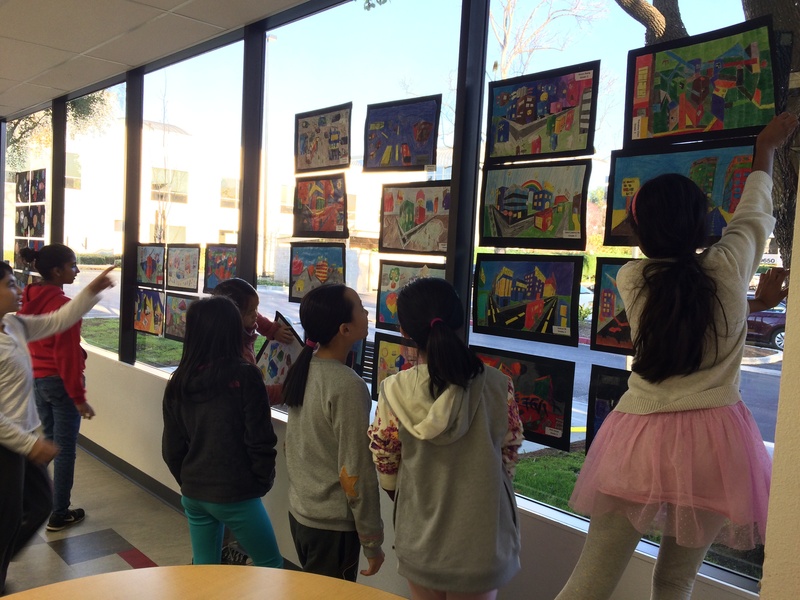 Volunteer docents from the fifth and sixth grades helped set up the show, then presented about their fellow students' work to interested parents. 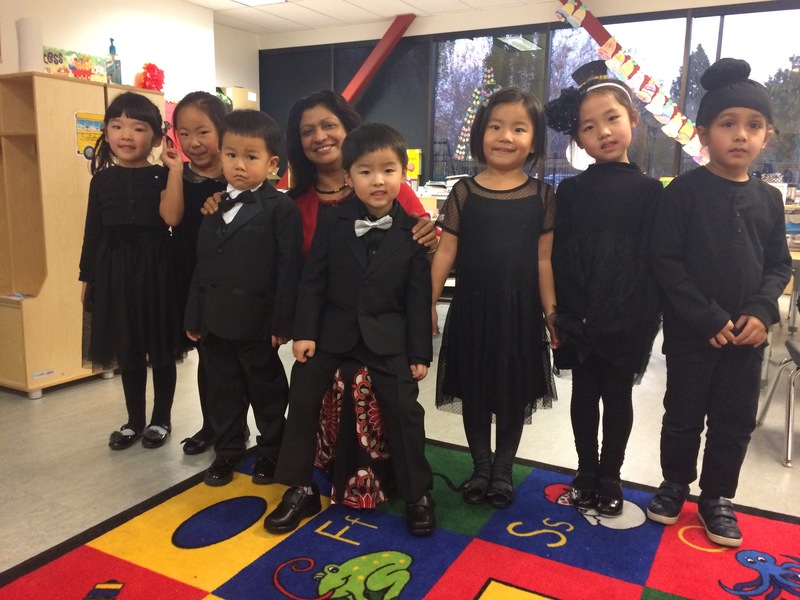 The Learning Expert Teachers from each grade 1-4, the kindergarten and Transitional Kindergarten teachers, and Ms. Julie, our Dean of Students, played instrumental roles in the Winter Gala production. 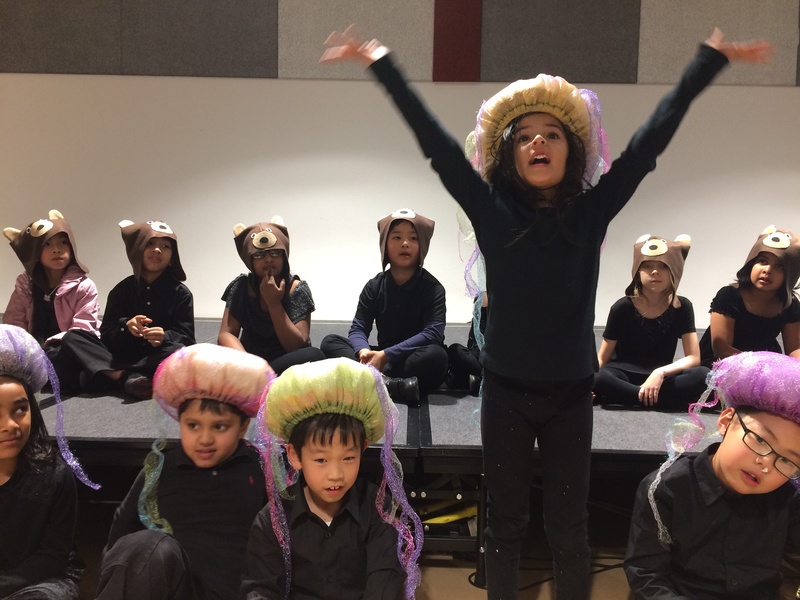 They kept their students motivated and engaged with the project, supervised rehearsals, and were at the actual performances, cheering their students on and managing the backstage areas of the show. "We're so thankful to all the teachers for helping out--all the Learning Expert Teachers and administrators. It was great to have help and support from the whole community," Ms. Burley said. The Winter Gala performances were a wonderful opportunity for our students to show their parents what they had been working on for weeks, and to sweep everyone away with the power of performance. "You could see how excited they were to share what they learned," Ms. Burley said. "It was so wonderful to see the show come together." "It's what we do!" Mr. Bosley added. "We love working with the kids and we love that they're proud of their product." We can hardly wait for the Spring Gala and our next opportunity to celebrate the arts here at BASIS Independent Fremont!